Now some of these things I don’t practice myself due to my lifestyle but I’ll mention those in context. These are in no particular order just some of the most important items. Feel free to add your own ideas below in the comments. 1. Car pool– This is one that I don’t practice because I’ve never driven to work in the last 10 years. I live within walking distance to work. Car pooling not only saves money on gas, wear and tear on your car, and parking but gets you talking and socializing with your neighbours, creating communities. Some of the arguments I’ve heard against car pooling are that people are on different schedules. Change your schedule. Socialize a bit, get to know your neighbor. People like having their cars during the day. In Calgary we have a car share program that is amazing. It’s called Car2Go. Check it out. 2. Compost– Yes, by now you know I’m a big fan of composting. By composting you not only decrease landfill items that won’t break down in the landfill environment anyway but you end up with the most enriching product that you could ever put on your lawn and garden. I’ve heard people mention that they don’t compost because they have garburators. Let me just remind you of the healthy end product of composting and that garburators use energy and increase the work that the city has to do to clean the water. 3. Say no to A/C and Turn down your thermostats in the winter just 1 or 2 degrees– This is basic, I know people in Calgary that have built in A/C. This is Calgary people. At most you’ll use this feature for a month a year. Enjoy the heat! In the winter, instead of turning up the heat, put on a hoodie or sweater. A/C is one of the biggest energy users in the summer. 4. Buy quality goods, or say no to the purchase in the first place– This is more important than the next, I believe. I’ve bought cheap shoes at Payless Shoes and sadly, months or even weeks later I’ve had to throw them out. Toss them completely. They were beyond repair. Now I’m alright with spending over $100 on a pair of shoes or boots in hopes of keeping them for years. Same with tools or computers, spend a little more money on something good that will last longer. Then look to number 5 when your goods have worn out. A better yet, if you don’t need something, please don’t buy it. Just because its the coolest gadget, do you really need it? 5. Reduce, Reuse and Recycle– You have been told this before but so many people think that as long as they recycle, they are doing the right thing. Sure, it’s better than throwing things out but you have to look at the three “R”s in priority. Work on reducing your consumer spending and all of your frivolous and unnecessary buying. That is much bigger than recycling all your useless goods that you’ve purchased. Reuse is next. Look at some of the things you are about to recycle or throw away, can you reuse them for something? Can you put them up on a site like Freecycle and allow someone else to reuse them? There is a whole industry of up cycling now, the art of taking garbage or other items that you don’t use and turning them into works of art or useful things. Check out Etsyfor some reused items done up in this fashion. And lastly, if things have pretty much run their course, please look at recycling before hitting the trash bin. 6. Buy local goods and food– That table and chairs you just bought that came from our favorite Swedish furniture store have travelled miles continents to get to your house. There are local furniture manufacturers or antique stores that are a much better option. Firstly, you decrease the carbon footprint of these goods reaching Canada and then your home but you also keep money, jobs and goods in your hometown. When it comes to fruit and vegetables, we’ve become accustomed to eating Kiwi fruit and bananas any time of the year. That’s probably not the right thing. Foods have been modified in order to withstand long distance shipping. Buy locally. Preserve fruit and vegetables. Even better, start your own raised bed gardenand enjoy the “fruits” of your labor. Here in Canada Superstore actually does a good job at sourcing out at least Canadian made food. Their other items aren’t local but the food they try their hardest. Try farmers markets. 7. Try out “Green” power– Yes, solar panels and wind turbines are out of most of our budgets still, but they are getting close. If you consider that most solar power installations are able to pay themselves off in about 10-15 years now, its getting close. I would think it would have to get down to as little as 5 years in order for mass adoption. But there are companies out there that create green power and are willing to sell you a piece of it. I subscribe to Bullfrog Powerhere in Calgary but I’ve wrote a whole article on other carbon offsetting programsthat you can join in your neighborhood. These ensure that any energy you use is injected back into the grid as green power, from solar farms, wind turbines or even bio mass. 8. Eat Less Meat– Did you know that there are more greenhouse gas emissions from raising cattle than cars? Remember, it’s everything that goes into raising the cow: grain, fertilizer, growth hormones, land space, butchering, transport… I’m not decreeing a vegetarian lifestyle but you don’t need to eat meat at every meal. Try even skipping meat for a day at a time. Then maybe go to eating meat only 1-2 times a week. You won’t die and despite popular belief, you won’t be malnourished. 9. Decrease your flying vacations– This one I struggle with. I like to go to Mexico in the wintery depths of winter but now we try and go for longer and decrease the amount of back and forth. But again, look to carbon offsetsto help if you are like me and can’t say no to your warm winter vacations. It doesn’t stop the fact that the aviation industry has one of the biggest environmental footprints of all. Fly less. 10. Teach your children well– This is my biggest challenge out of all of these items but I sure hope I’m doing a good job on teaching my kids about the environmental issues that will affect them. Lead by example. Say no to unnecessary purchases. Buy locally. Make gifts instead of buying gifts. Stick to one family car if you can and make it the most fuel efficient one you can. Please add any more things that we could be doing in our everyday lives. Dirt Boys is looking for a qualified individual that will be a vital part of the company’s plan this year. This will work into an urban farm lead position by mid season after training. They will oversee and be responsible for the farm operations. A lot of hands on work as well as managing some casual employees and volunteers. Wage: $15 dollars + $.50 a KM for vehicle usage. 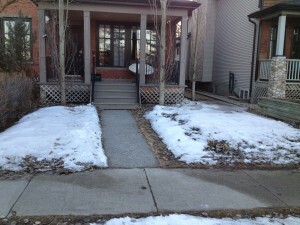 Location: Bridgeland, Renfrew, Inglewood, Sunnyside and Manchester – Calgary. This is a seasonal contract position with no benefits other than access to great food! To submit your application: Email subject line: FIRST NAME_LAST NAME_Farmer Cover Letter and Resume. Please send as One PDF document, 3 page maximum (1 page cover letter, 2 page resume) with this file name: FIRST NAME_LAST NAME_Farmer Email to: info@dirtboys.ca. Make sure and tell us why you’d be a good fit to be an urban farmer. Only successful applicants will be contacted for interviews. Thank you and good luck! Some of you may know what it is, most of you may not. It’s hard to get people to sign up to be a share member of a farm when they don’t know what they are getting into. As a CSA Shareholder you get fresh produce (or whatever type of CSA farm it may be). You are basically advance paying for a season of fresh veggies. Most CSA memberships come with a warning that say you may not get produce if unforeseen circumstances arise but with the YYC Growers CSA that Dirt Boys is supplying this year, we have 8 farms on board that will be growing for you, not just one. Dirt Boys is planning on supplying some great produce such as Radishes, Collards, Carrots, Beets, Potatoes, Zucchini, Corn Salad, Kale and much more. With our other YYC Growers like Leaf & Lyre, Hillhurst Microfarms (with who I shared a table at the market last year), Seed + Soil, Greenberry and newcomers Salad Spinners and Grand Trunk Veggies we should have much variety in each and every CSA bag you pick up. Please head over to the YYC Growers and Distributors CSA page for more information. Hope to see you this summer picking up your share! 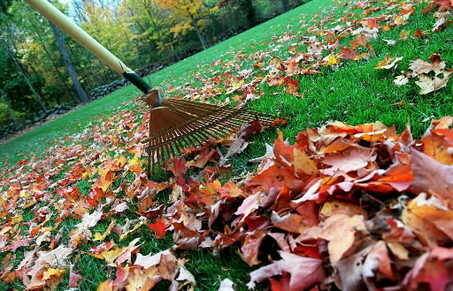 Dirt Boys is offering a fall yard clean-up and garden maintenance, getting your yard and garden ready for winter. 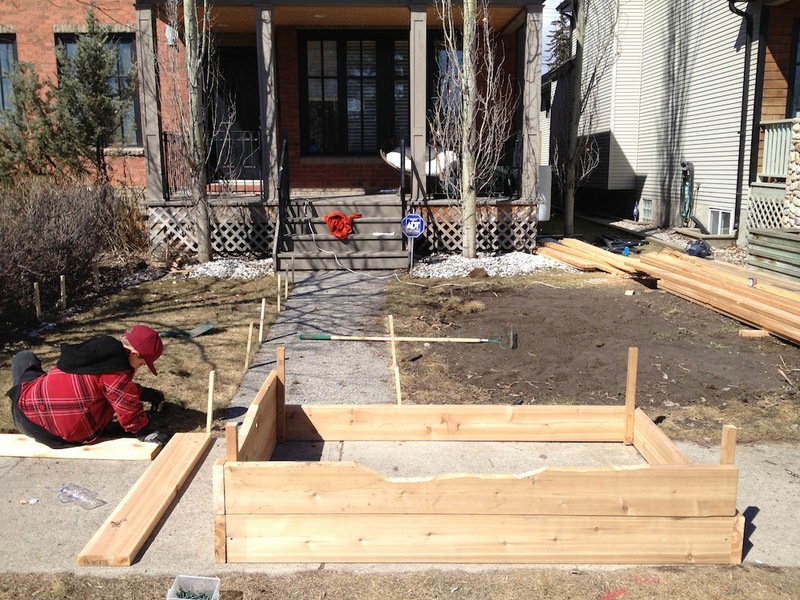 For a 25 foot lot and an 8×4 raised bed, we charge $150 as a one time fee for this service. Hurry, we are booking for October-November clean-up for the Calgary Area. Please fill out the contact form with your details and we will get back to you ASAP. At the beginning of the gardening season, actually there was still snow on the ground when I went to visit this site, a lovely lady who was wanting raised beds mentioned “Wicking Beds” which I then had to do a lot of research on to see if it was something I could do. The beds looked a little meticulous but I felt I could manage this feat. Wicking Beds work on the concept of watering from underneath, rather than from the top. There is a bit of plumbing involved and the beds need to be lined with heavy duty plastic to retain the water. BEFORE This is the site before any work was done. A plot on the right hand side had been dug up to garden in previously. Anyway, I after a week, and having my whole family help out on this job (yes, Dirt Girls are on the team too) we managed to get the job done. I think they are both impressive visually as well as practical. You don’t lose a lot of moisture due to evaporation. The plants take as much water as they need. I’m sure someone will ask, for a 8×4 wicking bed, you are looking at about $750-800. When people ask us about composting the second most popular question has to be, what type of composters should I get? The urban farming group known as Dirt Boys is looking for some space to garden in. Have you heard of SPIN Farming? Well you have now. 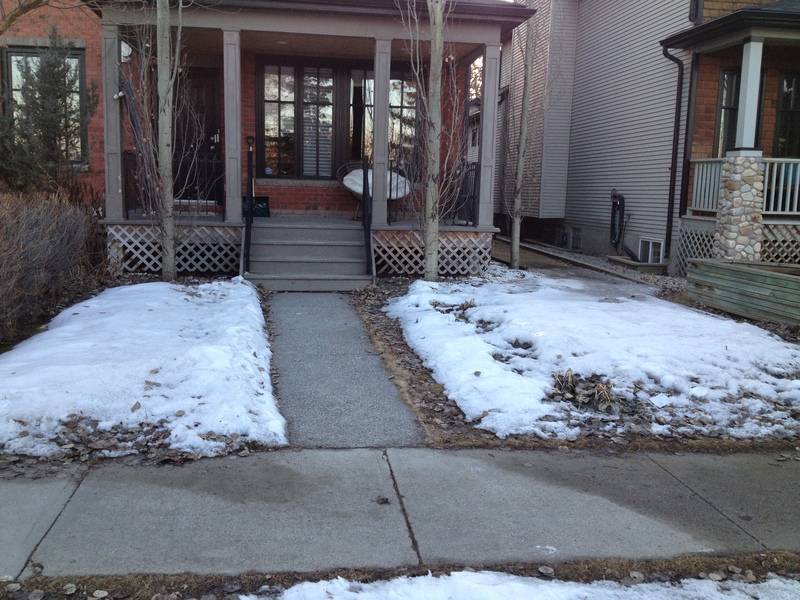 In the neighborhoods of Bridgeland and Renfrew in Calgary, AB we are looking for your neglected front yard or back yard that needs some TLC. In exchange for the use of your land, you will get a weekly supply of veggies that was grown on your land, as well as knowing you are helping out with Calgary food security. What will we do in your yard? Farm it! Unconventionally but hopefully we’ll see enough produce to use in YYC Growers Harvest Box on a regular basis. This, of course, is with your share taken out. If you are thinking your property might have what we are looking for, contact us with your phone number and we’ll see if we are a fit.